Hailing from a small village just outside Belfast and graduating from The University of Ulster with a Ba Hons degree in Art and Design. Emma moved to London as a web and graphic designer. The name Anarkitty was born during her six year stay. 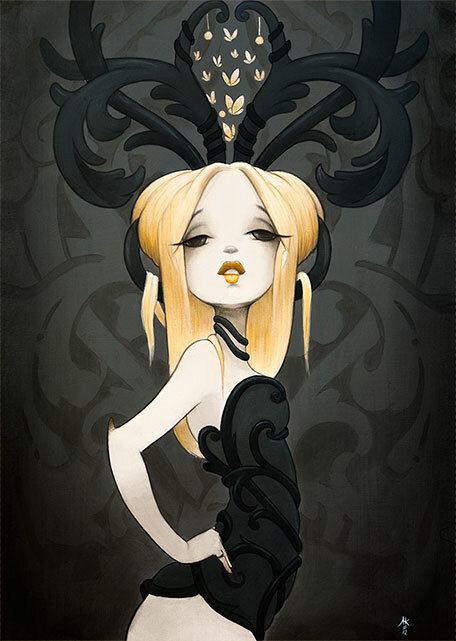 As a side line she started creating digital based character illustrations with work appearing in publications such as Creative Review, Computer Arts and DPI (Taiwan) magazine. She also created works for the likes of MTV, BBC and Pictoplasma. Returning to Northern Ireland Emma started to move her characters onto canvas and got her first solo exhibition in The Frameworks Gallery Belfast. Her artworks now appear in Galleries and shows internationally, from New York, San-Francisco and L.A to Australia and Germany. My influences and inspirations come from many places like Pin-up Art, Illustration, Manga and Anime, Tattoo and Graffiti cultures. Many Artist that have inspired me, all at different times and for diverse reasons. When I was a child I would pore over the illustration books of Allen Lee, Brian Fraud and Kay Neelson. However once I moved to London the art scene there blew mind. Graffiti artists like D*Face, The London Police and Flying Fortress made my heart race. Miss Van and Faffis work really motivated me to start painting. 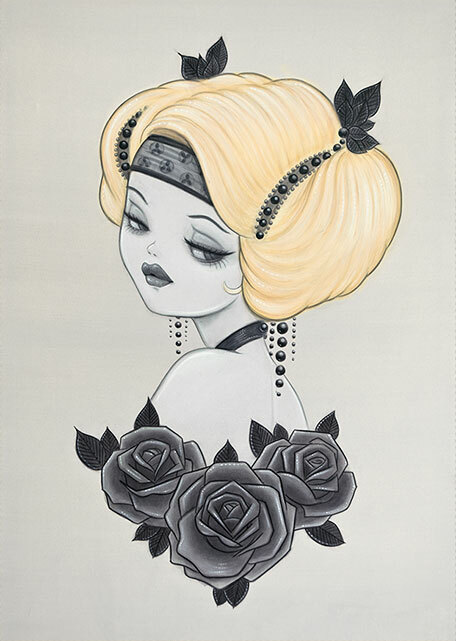 Subsequently I was introduced to the Pop Surrealism/Lowbrow art scene in the US through the artwork of Mark Ryden, Camille Rose Garcia and Jeff Soto and have been captivated ever since. 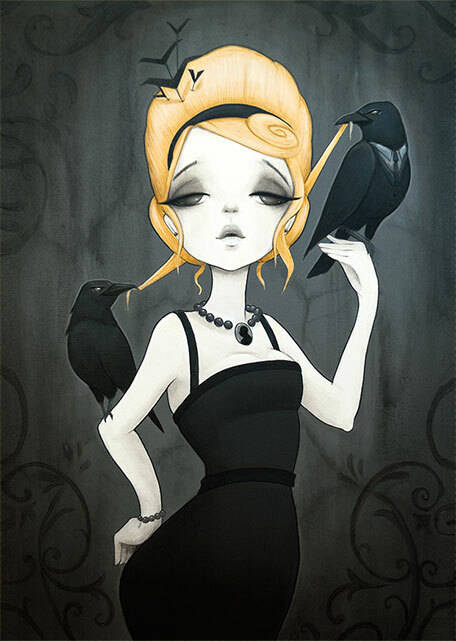 Currently I adore artists such as, Tatiana Suarez, Caia Koopman, Jaw Cooper, Casey Weldon and Tom Bagshaw, once again to name but a few. I paint more for self discovery than as a means of expression. Inspiration comes from an amalgam of perceptions, and feelings from fleeting moments in time that I find beautiful, fascinating and provocative. Unable to make any sense of them in my mind, I draw. These daydreams/fantasy’s I play out through my paintings in an environment in which I feel confident and free. A prevalent theme running through my pieces stems from my fascination with Cats! Inspired by their idiosyncratic ways, my “Ladies” have the same arcane attitude encased in a provocative and curious beauty. I want them to be comfortable within their own bodies; know their own mind; to have no feeling of restraint from surrounding judgments. Like cats, they have their own complete and individual personality with which they have a total sense of ease.